No single government agency has grown so big and so fast as the Environmental Protection Agency (EPA) and no single agency threatens constitutionally guaranteed property rights and nationwide economic growth than the EPA. It is the Blob that ate America. Signed into law by Richard M. Nixon in 1970, the EPA has so consistently twisted the truth about the environment that its announcements must be dissected like a cadaver to find any verifiable facts. 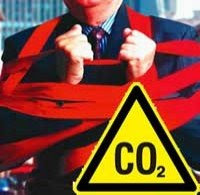 This agency of the government is so brazen that it is currently trying to bully Congress, the seat of government, into passing the horrid Cap-and-Trade bill so that it might then regulate stationary sources that emit more than 25,000 tons of greenhouse gases per year. It is based entirely on the global warming hoax. The EPA has been the spear point for the global warming hoax, the creation of many worldwide and domestic environmental groups that continue to lie, saying it is caused by humans. There is, however, NO global warming. The Earth has been into a cooling cycle for the past decade. The current cooling is predicted to last for decades to come. The platform for the global warming hoax has been provided by the United Nations Intergovernmental Panel on Climate Change. The EPA is justifying its latest power grab claiming that the regulation of greenhouse gases will avoid a global warming that is NOT happening. The EPA has such a disdain for real science that it wants to declare greenhouse gases, primarily carbon dioxide (CO2), as “pollutants” when in fact CO2 has nothing to do with either warming or cooling. The simple truth is that water vapor constitutes 95% of all so-called greenhouse gases in the atmosphere and CO2 represents an infinitesimal 3.616%. Man-made CO2 whether generated by industry or just a backyard barbeque is an even more miniscule 0.117%. CO2 molecules in the atmosphere are so diffuse as to render this gas unable to cause any climate change. The EPA proposal reflects the effort of environmental organizations such as Friends of the Earth and the Sierra Club to thwart the construction of any new plants to generate electricity. This is especially true of coal-fired plants that currently provide half of all the electricity used daily. Costly technology to capture and clean emissions is already in place wherever coal or other fuels are utilized. All industrial activity is the ultimate target. What the nation’s industrial and manufacturing sector really generates are jobs, profits, stock dividends, and tax revenue. The climate/energy bill has no basis in scientific fact. Despite a Supreme Court decision, CO2 can in no way be defined as a “pollutant.” CO2 is vital to all vegetation from backyard gardens to wheat fields to forests. Humans and other mammals exhale it. Vegetation absorbs and uses it. More CO2 would, in fact, mean more robust harvests and greater forest growth worldwide. Simply put, the Clean Air Act was never intended to include greenhouse gases and that is the EPA’s dilemma as it seeks to do what it clearly was never intended to do. The very idea that humans have any control over the climate is so absurd as to render the forthcoming UN climate conference little more than a gathering of liars and idiots. The only good news is that Obama’s environmental czar, Carol Browner, now says that the cap-and-trade or pollution control act will not likely come to a vote until December. Then or ever, it would strangle economic growth in America at the same time such growth is taking place in the world’s emerging powers such as China and India. While the rest of the world is encouraging industry to provide the jobs and revenue needed for their population, the United States President and Congress would hand the Greenhouse Gun to an EPA eager to pull the trigger on our own growth. Alan Caruba writes a daily post at factsnotfantasy.blogspot.com. A business and science writer, he is the founder of The National Anxiety Center.